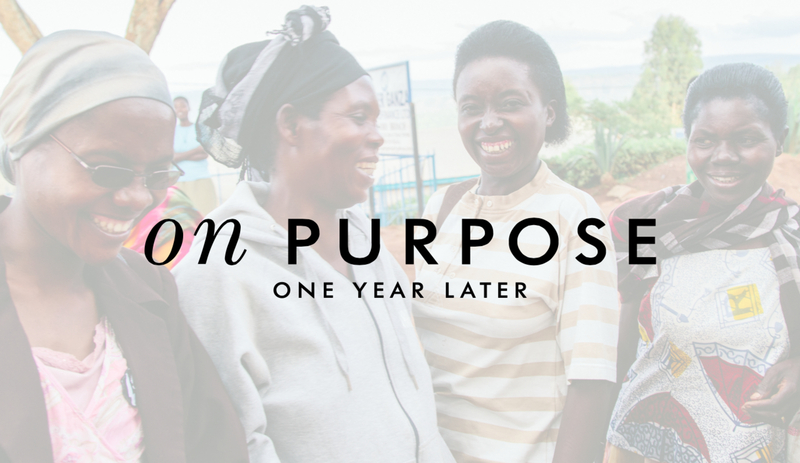 the concept of ON PURPOSE is empowering, new and unique: we’re teaching a group of 150 women in Masoro, Rwanda, to become a profitable supplier to all Kate Spade & Company brands. our goal is for their economic stability to positively transform their entire community. (that’s 20,000 people). once their business is sustainable, we’ll do the same thing in another community in the world. and then another… and another… so the possibilities, and positive results, are endless.